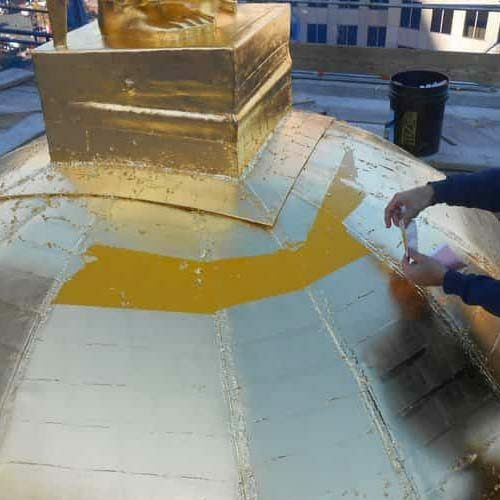 Architectural Gilding Restoration | John Canning & Co.
We recently just received an issue of the Connecticut Trust for Historic Preservation magazine that mentions the restoration of the CT Old State House cupola restoration. John Canning Studios had a hand in restoring both the interior of the Old State House and restoring the Cupola. Gilding the dome of the cupola, or any exterior gilding, is no easy task. It is a battle against the elements and takes care and patience. A major factor in exterior gilding is the prep work that goes into assuring the surface of the dome or architectural element is properly stripped, sanded and primed for the application of the gold. It is also important to make sure the size, or "glue", that adheres the gold leaf must be at optimal tack. 23.75 karat gold leave is then applied and burnished to reveal a glistening finish. If done incorrectly, instead of the lasting decades, the gold would start to deteriorate at a much faster pace and the process would then have to be repeated. 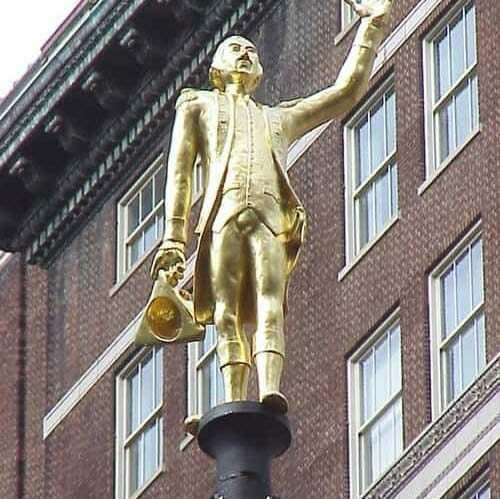 Architectural gilding is seen all over the US and these icons become symbols of a city or town's character. We understand the importance of these symbols and take great care in gilding them properly and efficiently. 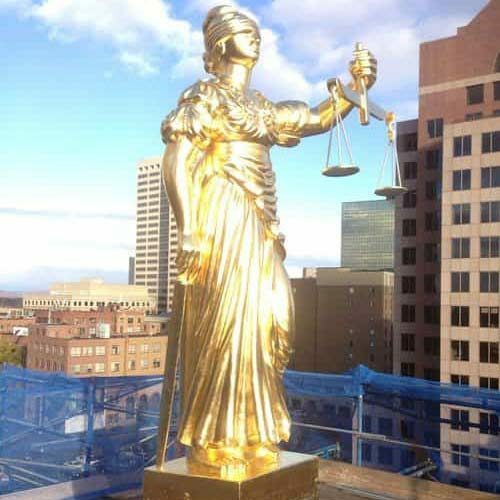 Here are a few examples of projects we've had the opportunity to work on, which include the CT Old State house, Milford Town Hall, San Francisco City Hall, and Prometheus. Enjoy!